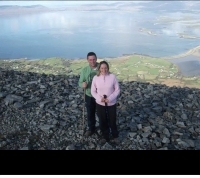 Description : At 1230pm on 11th August 2018 the “climb every mountain together” event is being kindly organised by Diane Banville who tragically lost her husband Kevin in a farming accident will climb Croagh Patrick in his memory. Diane will be accompanied with others who have also lost their partners and children in farming accidents. The climb is open to anyone that wants to join in who may have lost a loved one tragically. This is a symbol of what our grief journey is like and and as a way to remember all those who have lost their lives to this work sector. Embrace FARM has allowed us to come together as a community by facilitating a Survivor weekend and a Family weekend, both weekend have been extremely helpful to my family and others. Anyone participating is doing so at their own risk.